Three San Benito residents sat in the back row of the 445th state District Court on Wednesday afternoon in Brownsville. 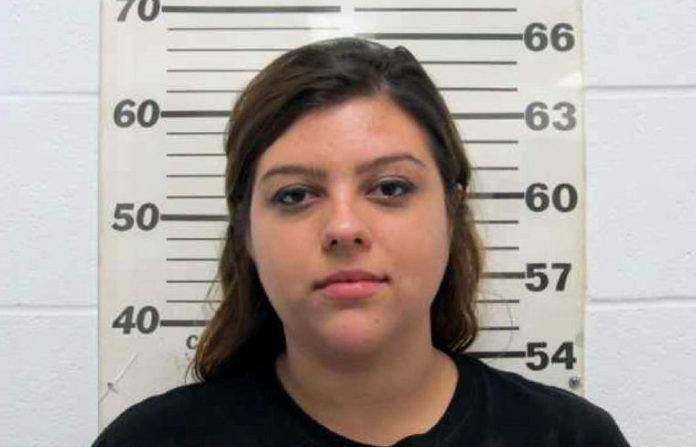 They came to see Daisy Joy Decker, a 20-year-old Sugar Land woman, who is accused of being intoxicated and driving her car into a group of spring breakers on South Padre Island just before 1 a.m. on March 17. Decker pleaded not guilty Wednesday to a nine-count indictment stemming from the incident that resulted in the death of a young Los Fresnos woman. While waiting in the courtroom for Decker to be arraigned, the San Benito residents recalled that night when a car drove into their group of pedestrians. “I had gotten up. I felt like I was OK — then I saw two girls on the floor,” 17-year-old Daniel Zuniga said, recalling the moments after the accident. Zuniga and his best friend, 19-year-old Oscar Gonzales, and Gonzales’ girlfriend, 18-year-old Shaila De La Cruz, all of San Benito, were walking on the 4200 block of Gulf Boulevard when a car plowed into seven pedestrians, hitting six of them and killing one, 19-year-old Maria Selena Patino. Patino was placed on life support until the day after the accident, the Los Fresnos News reported. Patino graduated from Los Fresnos High School in 2015 and was attending Texas State Technical College in Harlingen at the time of the accident, the Los Fresnos News reported.